Anthony Loveridge created this website due to the fact that I have lived on and off in Dampier for the past 10 years, I drive past the Red Dog Statue about 50 million times a week and there are plenty of people that just want to know more. For example, I take people to the airport from off shore rigs, mining jobs and tourists from the hotel, as soon as we drive past I hear stop! stop! ...I have to get a photo to show the family back home and then they ask a lot of questions. So to stop the confusion and to help people, I've created an online website of Pilbara's Famous 'Red Dog'. Anthony was the General Manager of the Dampier Mermaid Hotel in Dampier, WA. At that time he also ran his own marketing business abloveridge.com at the same time. Anthony has also created and manages the website and facebook pages for the two other major Dog Icons in Australia. If you are not happy with your purchase quality we are more than happy to exchange it with another copy of that item. Please be advised that as of the 1/7/12 some products may come to you from our distribution centres overseas. Looking at purchasing more than one thing? 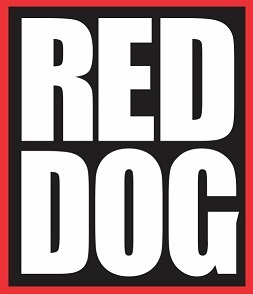 The quickest is via email or by filling in the form below..
How did you hear about reddogwa.com?